A model in Burnt Oringe “Mother Earth” bed linen collection. The bedsheets are made of TENCEL® which is a eucalyptus fiber. 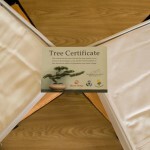 Each time a box of bed linen is sold Burnt Oringe plants a tree in Thailand on behalf of the buyer. 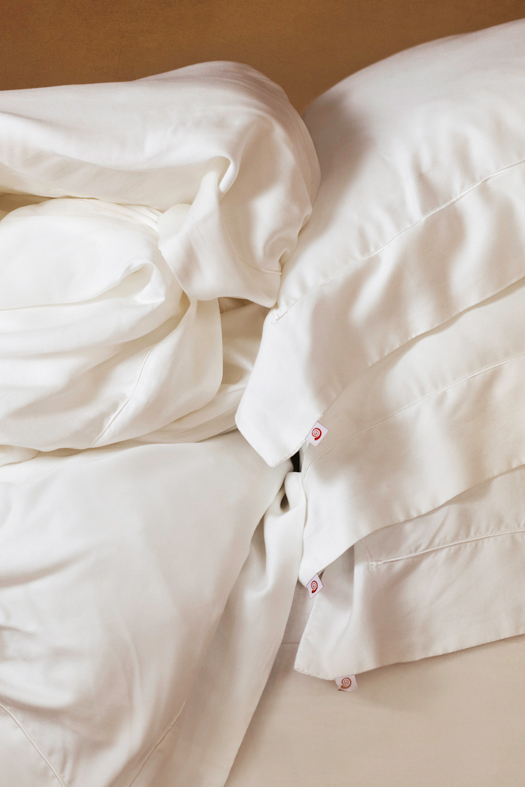 After a long day at the office or a night out on the town, what could be better than slipping into clean cool sheets? ‘Nothing!’ According to Tarynn Hatton-Jones, Nicely Made in China’s (NMiC) guest this week. She arrived from Johannesburg, South-Africa, a few years ago as a banker and very quickly felt a higher calling: providing her fellow human beings with what she believes is the best thing in life. So she created Burnt Oringe, a luxury bed linen company. The name refers to the colors of African sunsets that I miss so much – they cannot be compared to anywhere else. As for what we do, I’ve always loved soft and luxurious bed linen. Coming from the banking industry where you spend long hours at the office, I can’t think of anything nicer than relaxing into a bed of beautiful linen. I was always willing to spend money on beautiful bed linen, so I went on a quest for bed linen made in a way that was good for the environment and healthy for me. But all I could find was bed linen full of chemicals. But how did that lead you to creating your own company? After the 2009 financial crisis I felt less passionate about my job in the banking industry but I had -and still have – a passion for the environment and for helping people sleep peacefully – instead of keeping them awake with banking worries. So I decided to start Burnt Oringe. It was on a very small scale at first. How did you source the material? I went on a global search for raw material and checked how it was grown. I became really disturbed by the way cotton was farmed. The chemicals stay in the material and it affects the end user by releasing those chemicals into their skin during the night. Luckily, through our factory in Shenzhen, we found a certified organic cotton producer in China. We have 3 product lines, two of which are made of cotton and a third made of eucalyptus fiber. We named this line “Mother Earth”. The material is called TENCEL® and has many luxurious qualities: it absorbs moisture like cotton, feels like silk, is cool as linen and is hypo-allergenic. All your bed sheets are white and only white – why is that? I want that fresh and clean look, but the main reason is because I want to avoid using dyes. There are soya-based dyes but they don’t last as long as the chemical-based ones and tend to fade after a few washes. Also, if for example, your kids happen to spill juice on the sheets, you can always restore the whiteness. What’s the future for Burnt Oringe? We’re working on a new line made of hemp and one made of bamboo. They’re both is anti-bacterial and very hard wearing. They also retain dye a lot better than cotton and eucalyptus so we might try to have collections with colors after all. Being a green company and using sustainable products is obviously important for you. 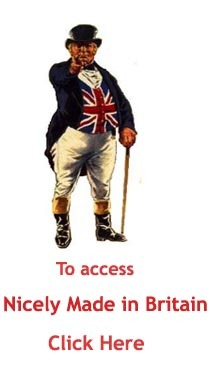 Tell us more about it. Yes it is very important to us! 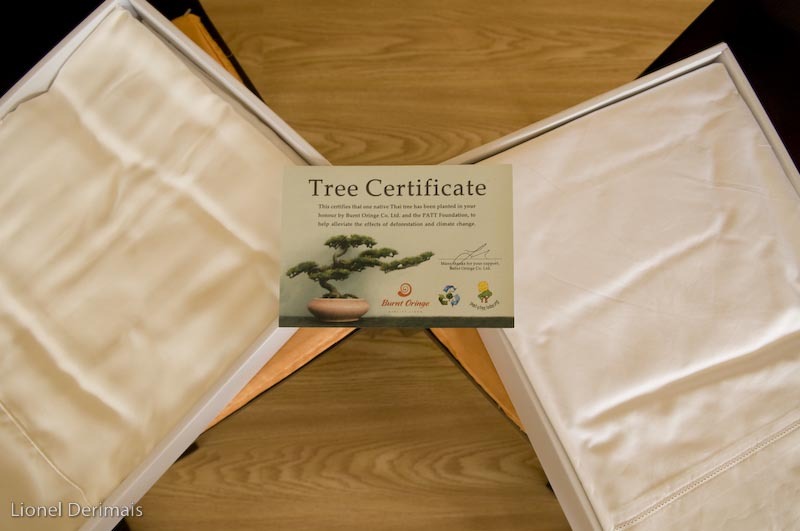 For every box of bed linen we sell, we plant a tree on behalf of the buyer in Thailand through the Plant A Tree Today Foundation. It is the closest area to us where we can do that. We also recycle textiles. Our customers can bring back their old bed linen and we’ll either redistribute it to people in need or recycle it. Thank you Nicely Made in China (NMiC) for featuring us on your website and blog! Great article and we’re honoured to be part of your growing group of trusted China retailers.